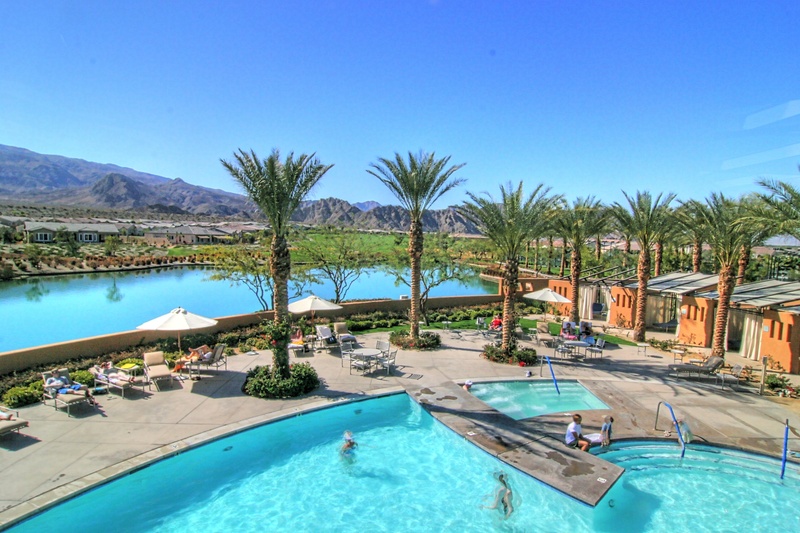 Sun City Palm Desert- St Croix. 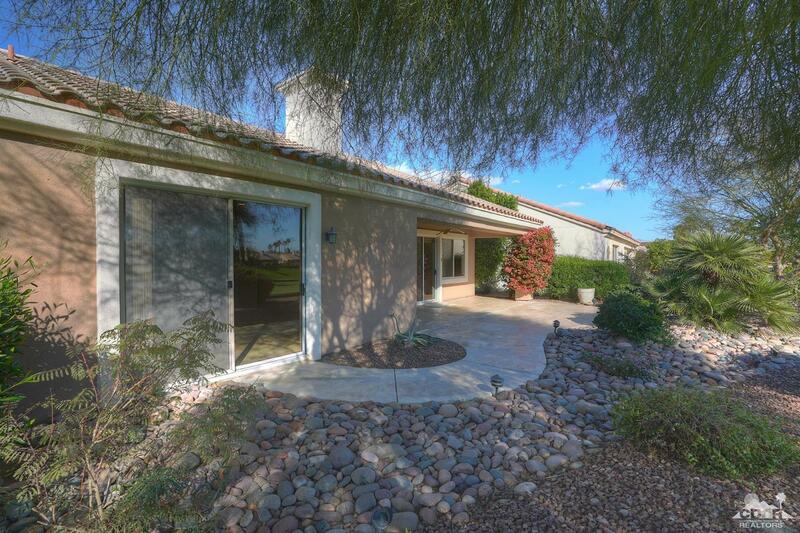 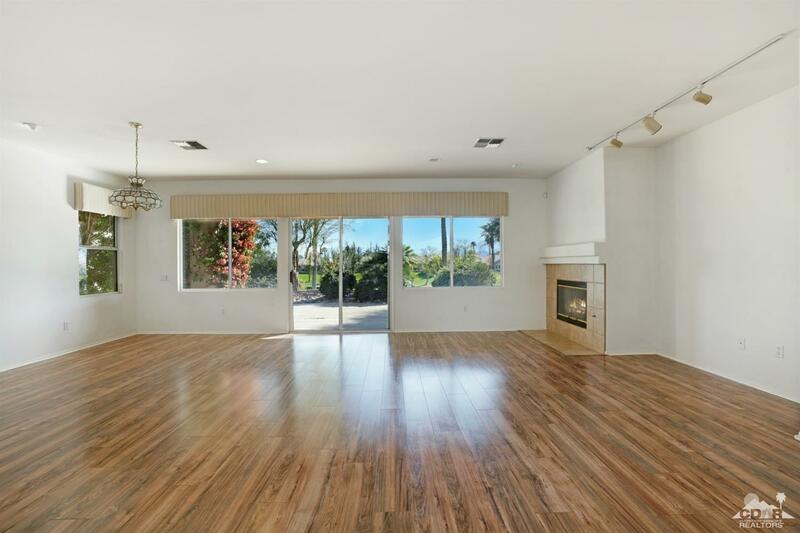 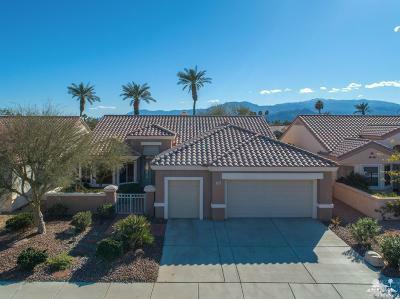 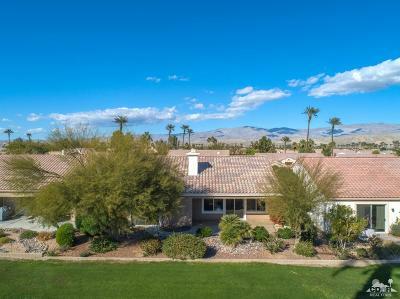 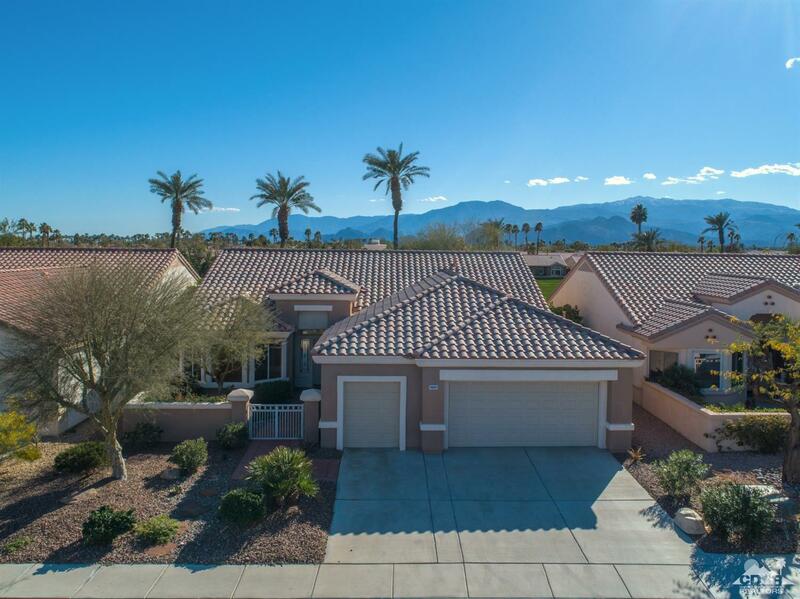 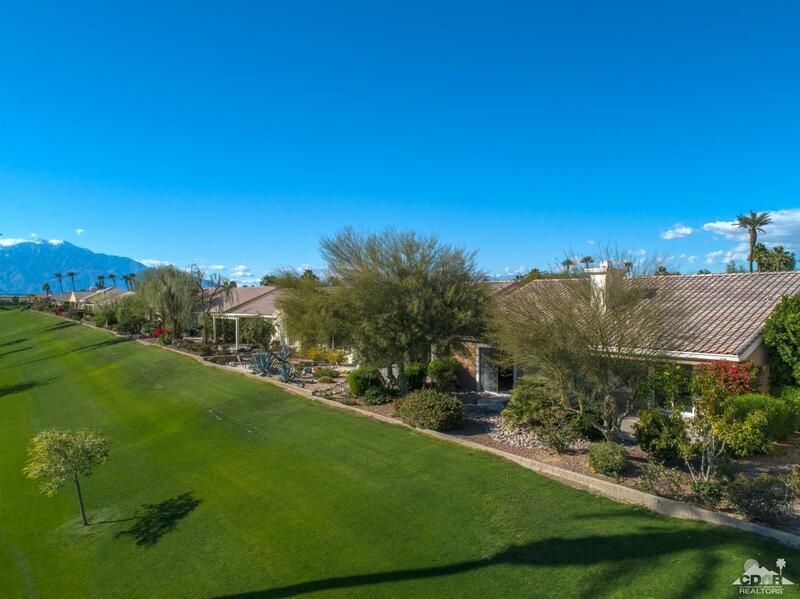 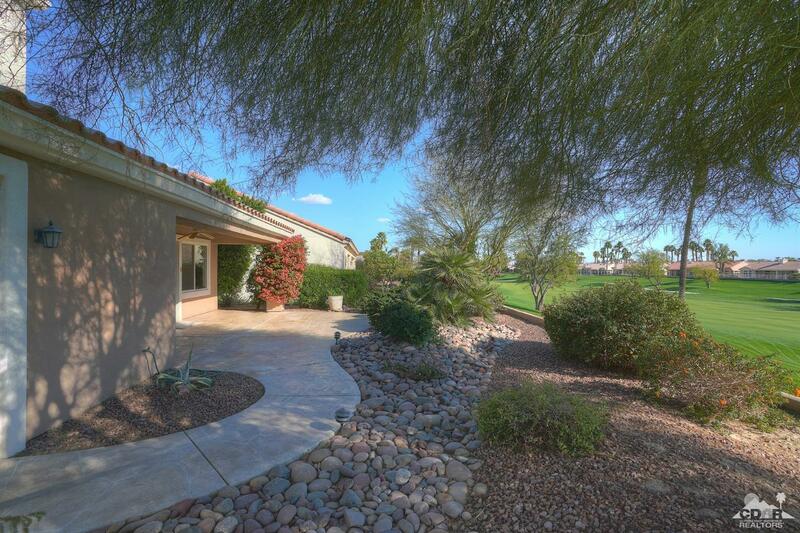 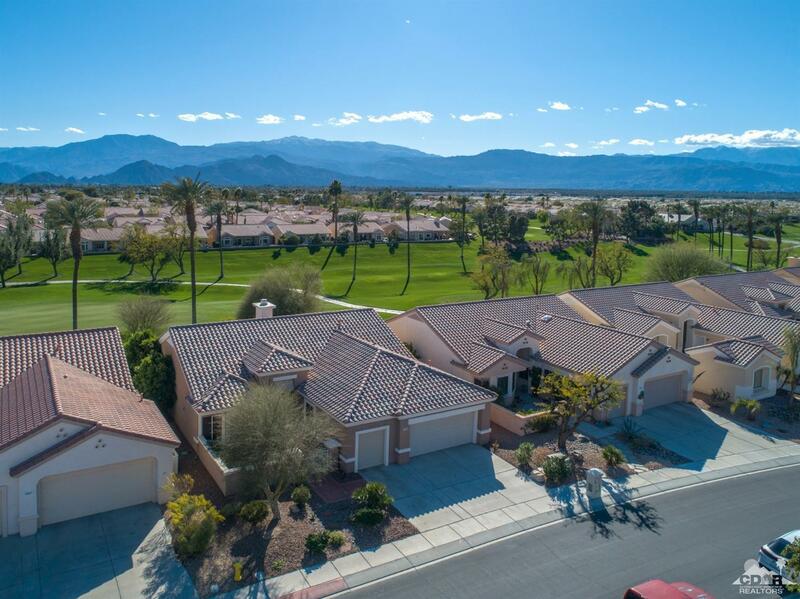 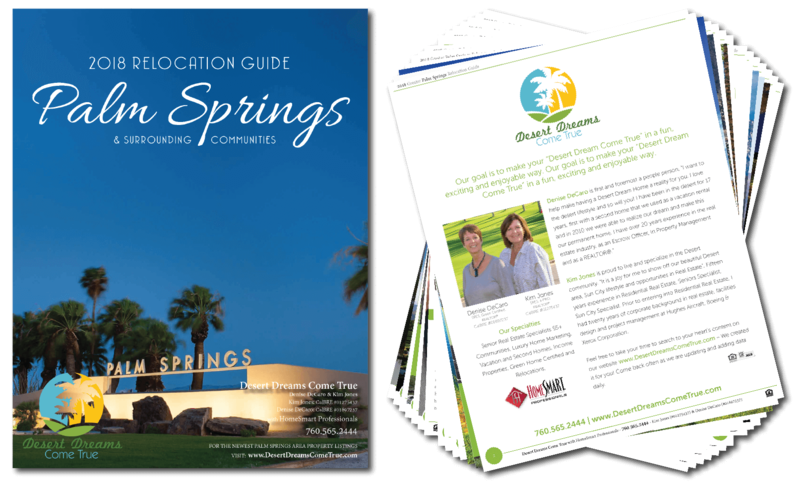 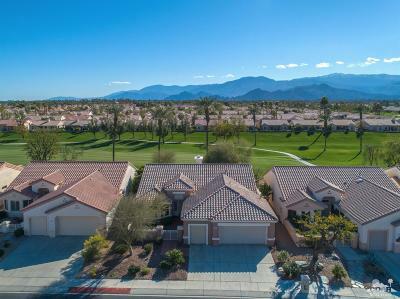 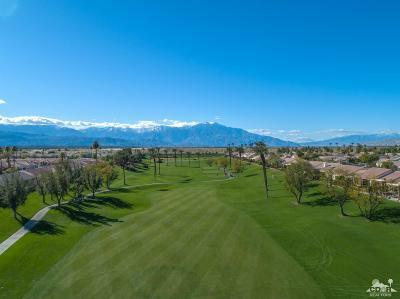 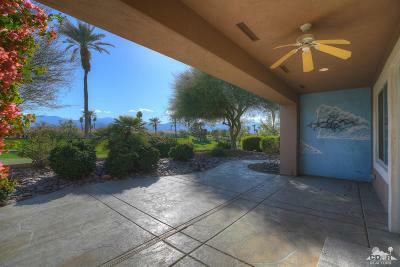 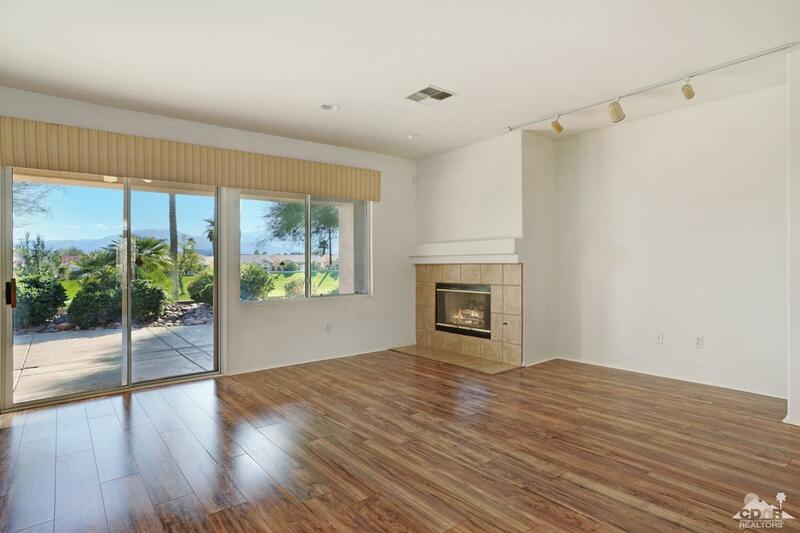 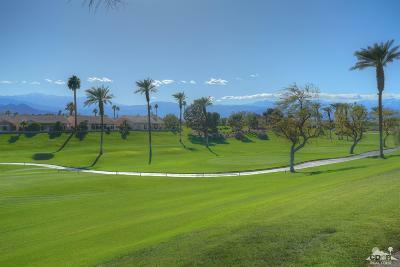 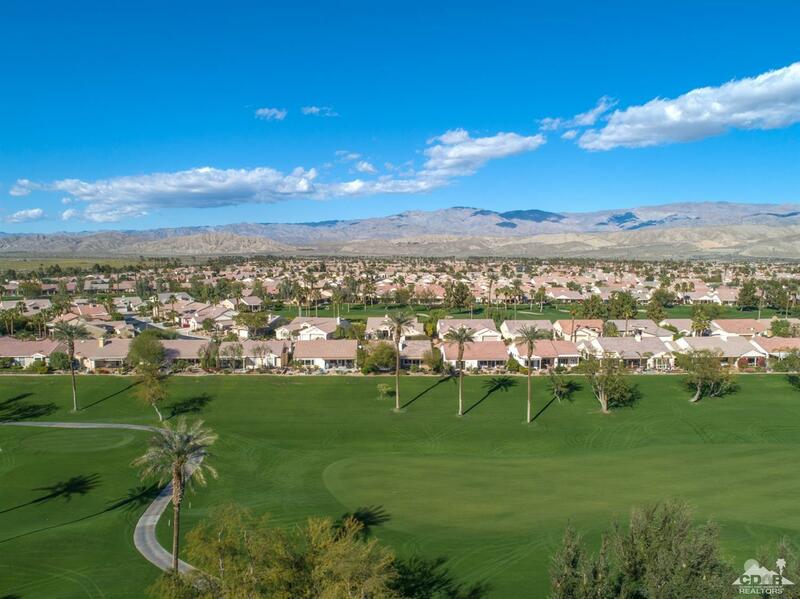 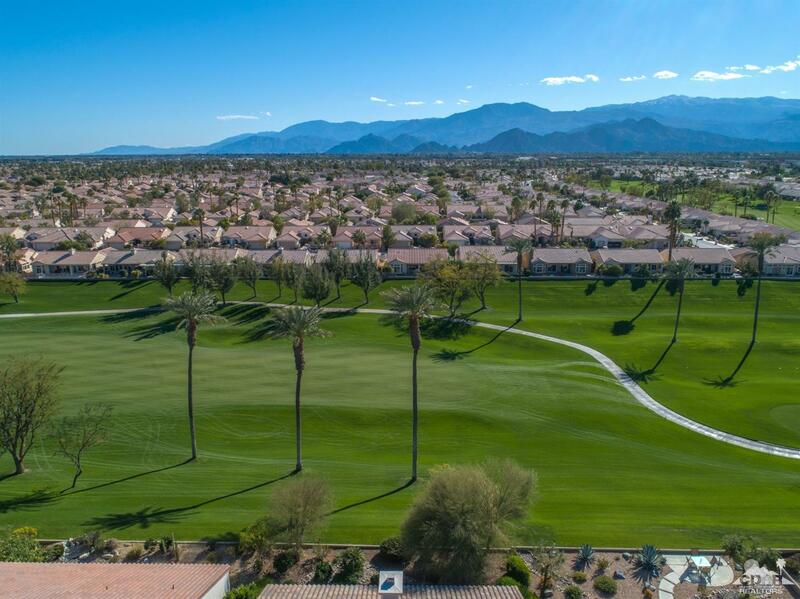 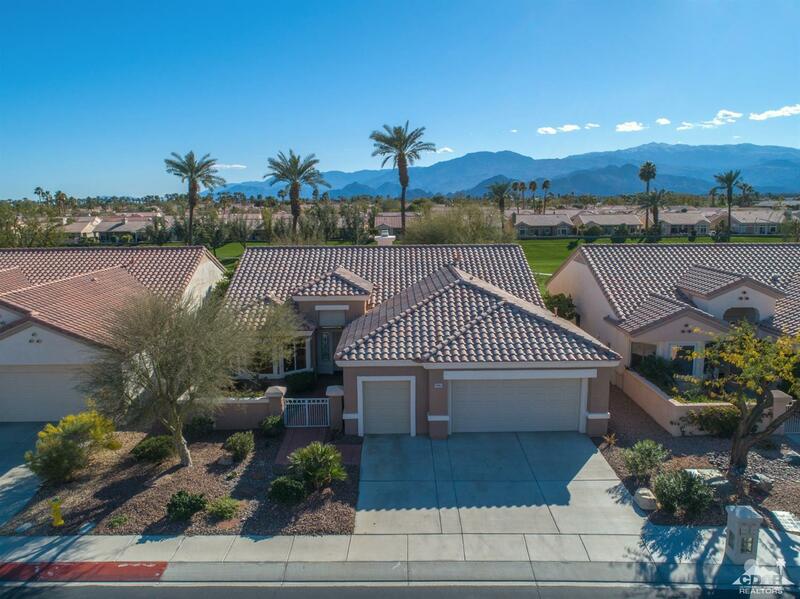 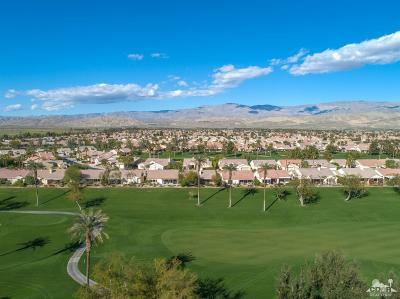 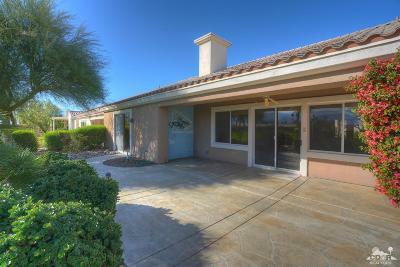 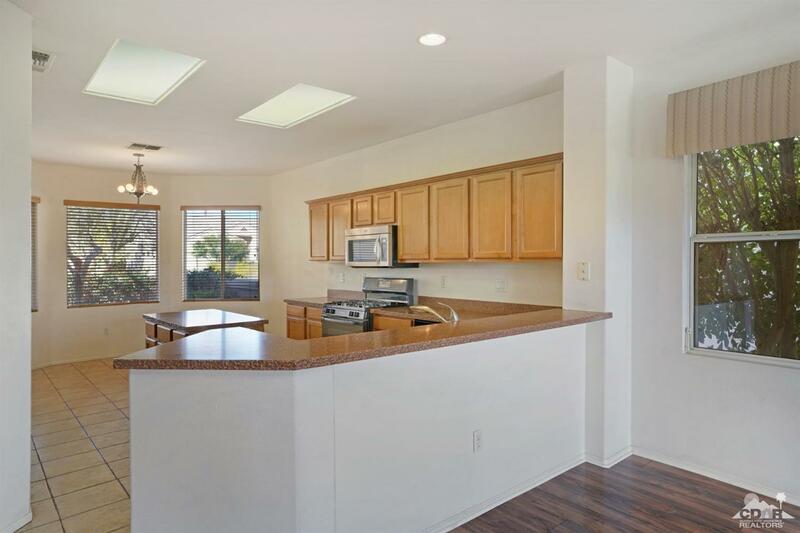 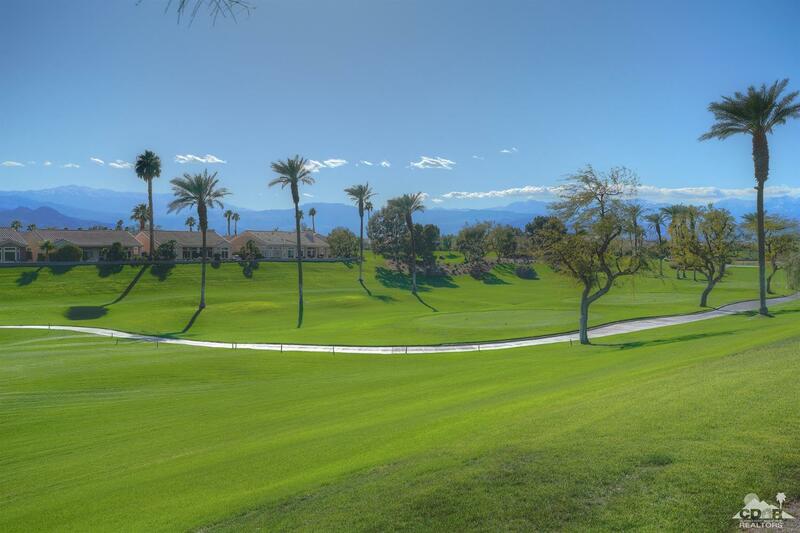 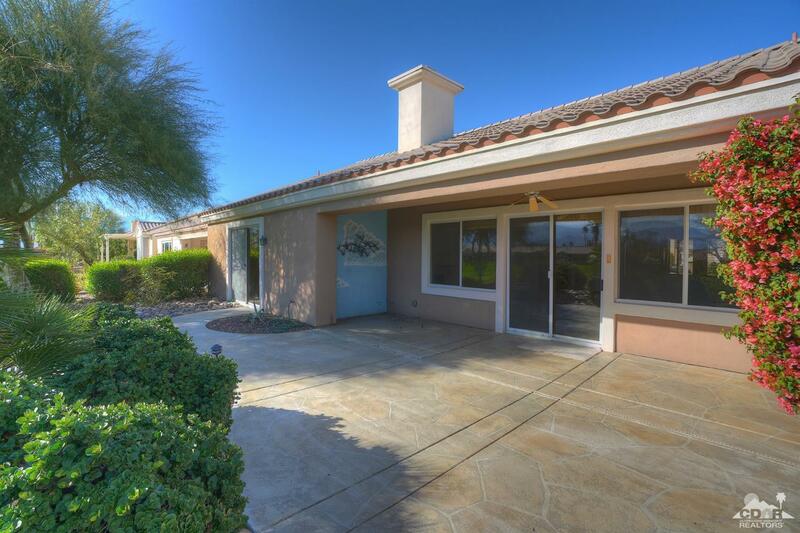 Sun City's most popular floorplan in a prized location above the golf course with panoramic mountain views. 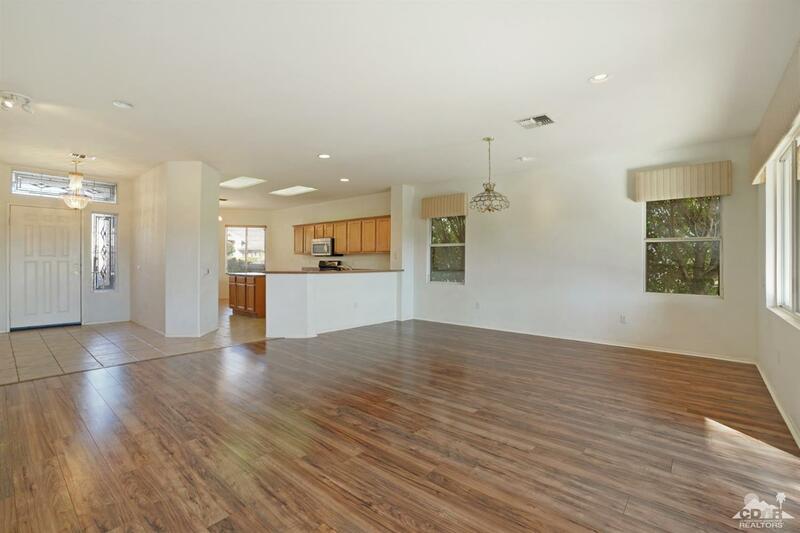 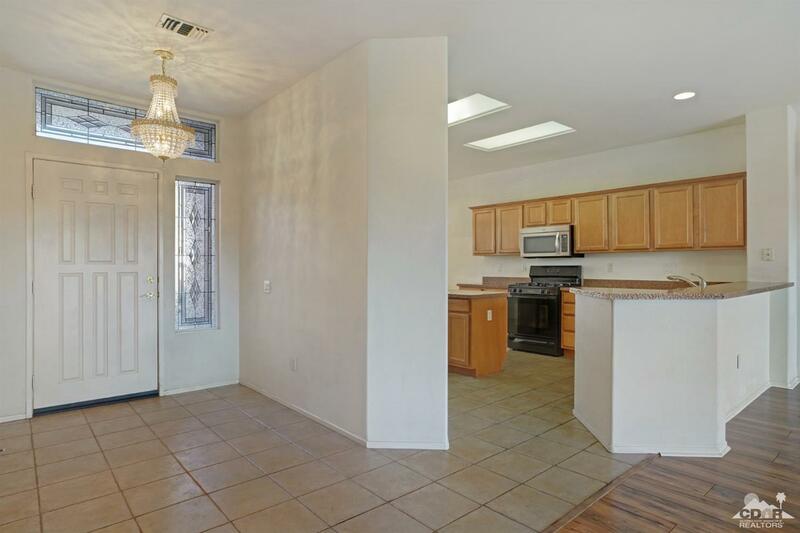 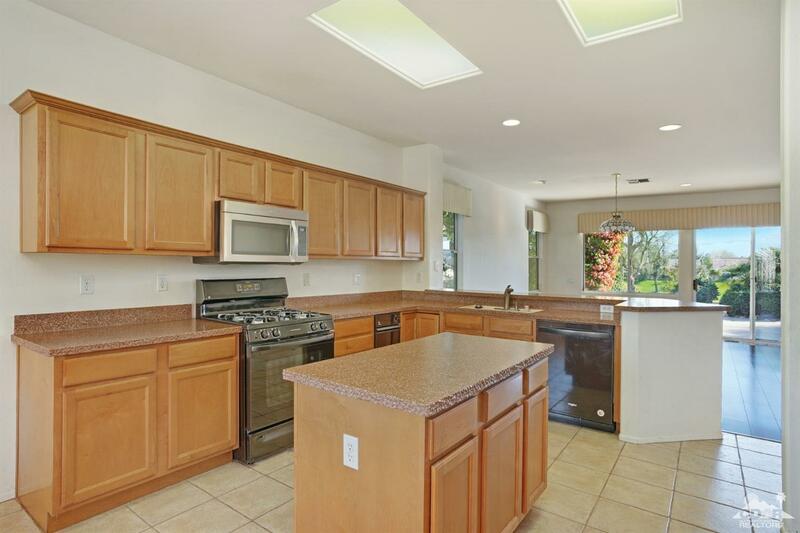 This home is priced well so that the new owner can confidently make upgrades. 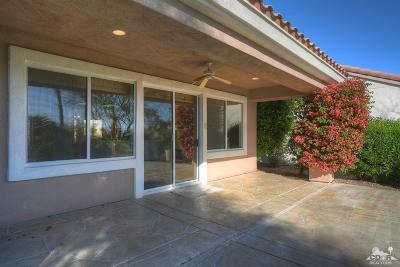 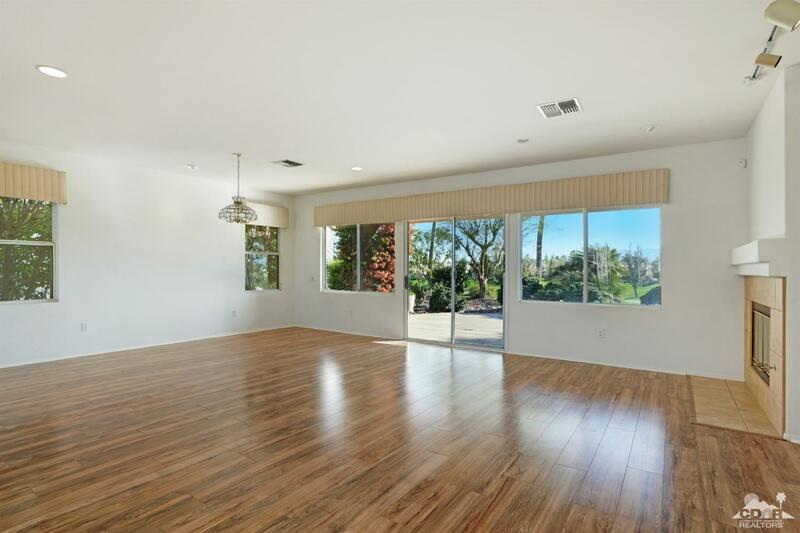 The home's south facing rear yard elevated high over the 14th hole fairway of the Santa Rosa golf course & has a spacious patio. 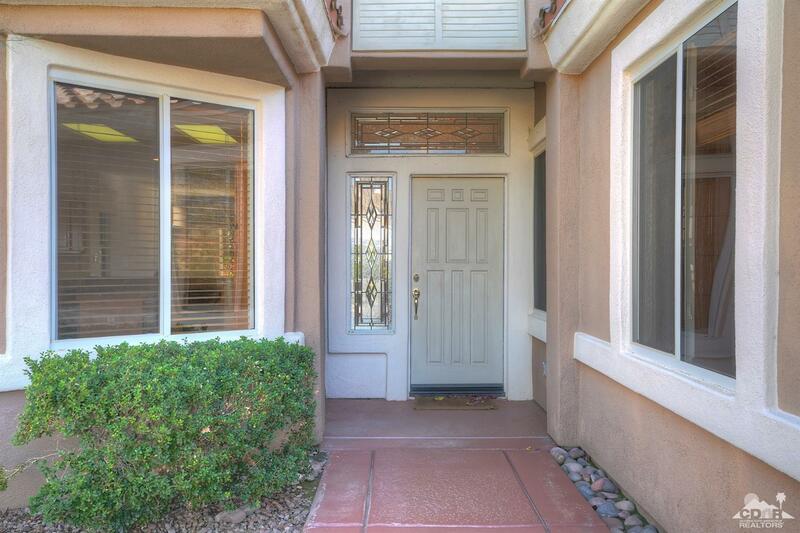 A gated courtyard & leaded glass door provide curb appeal. 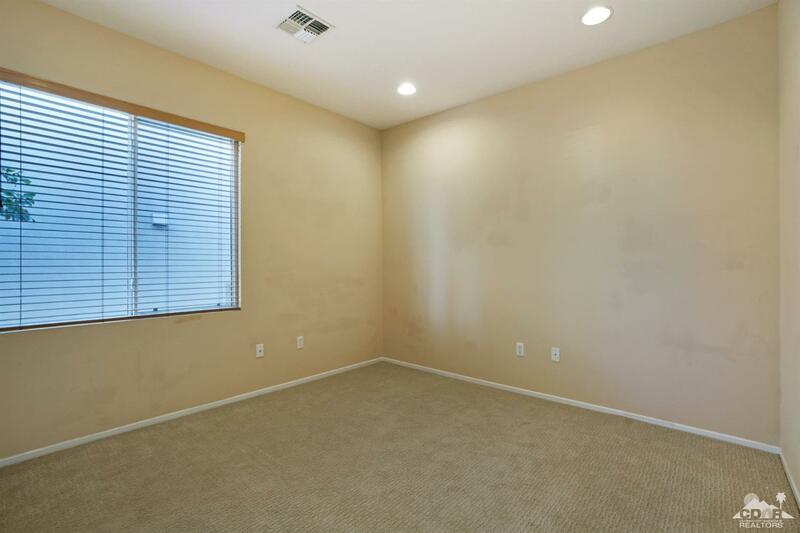 Inside, there are 2 bedrooms, 2 bathrooms, a den & hobby room. 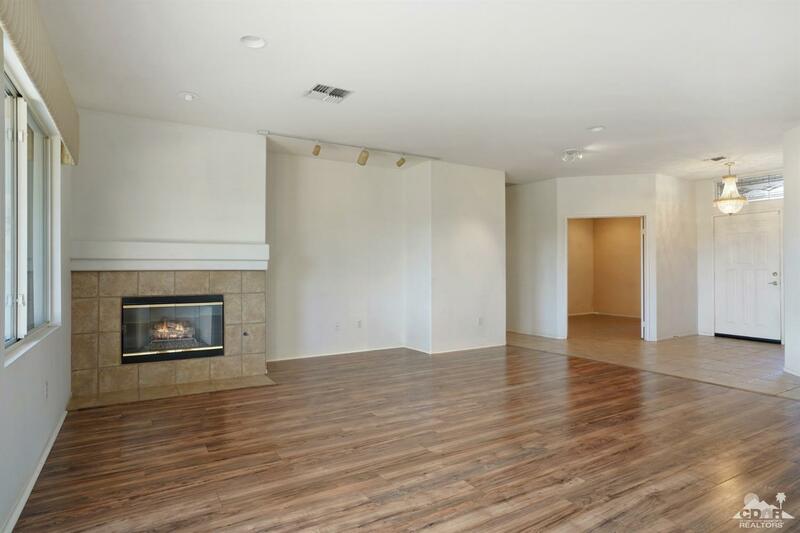 A fireplace is in the greatroom. 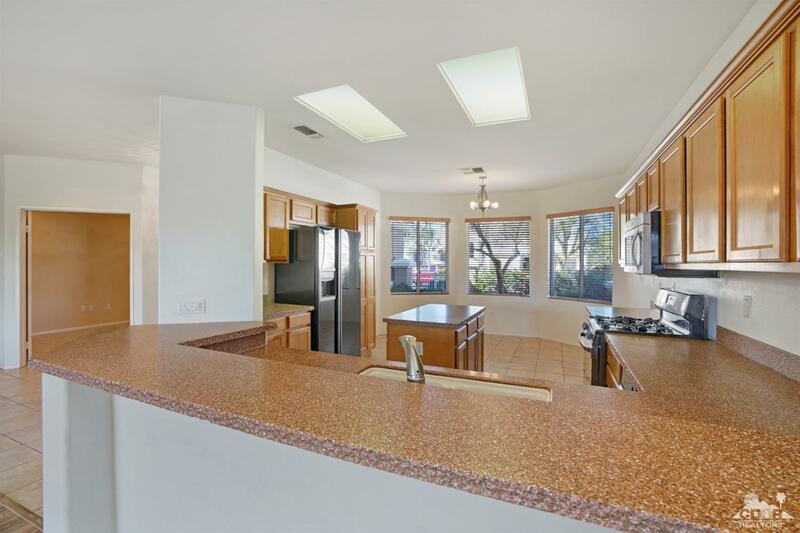 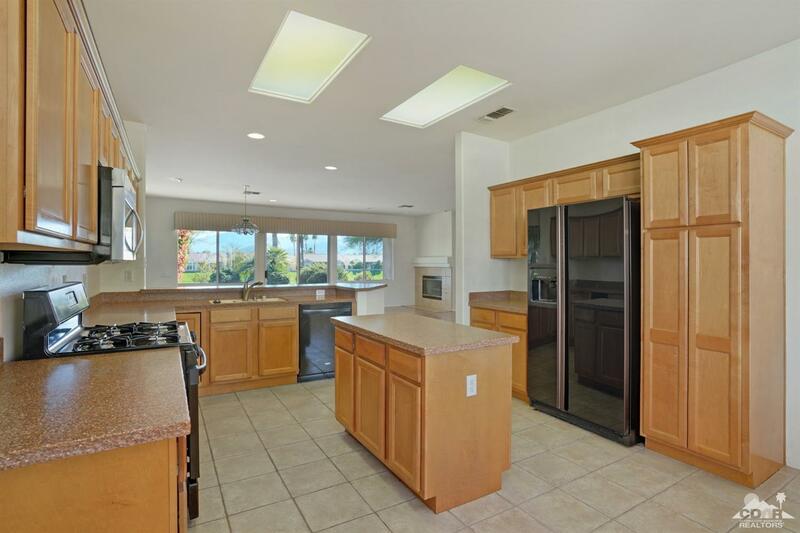 The kitchen has speckled corian counters w/chiseled edge, a breakfast bar & island. 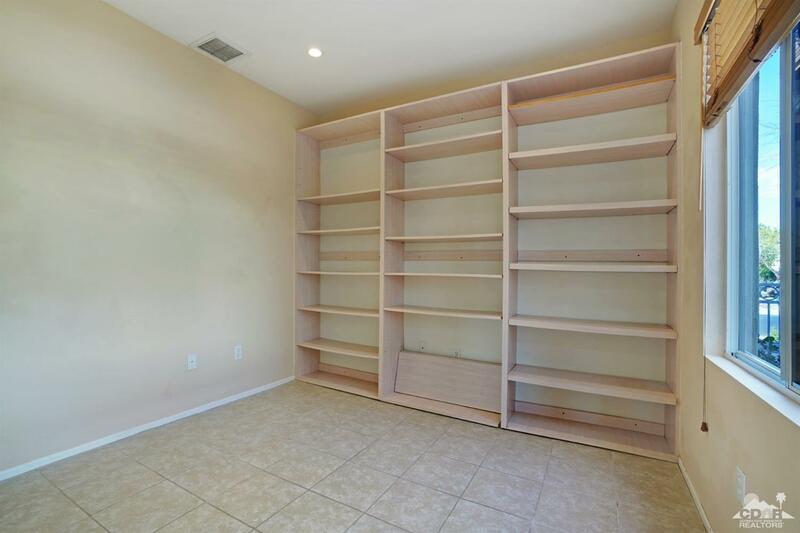 Double doors lead from the greatroom to den which leads to the hobby room. 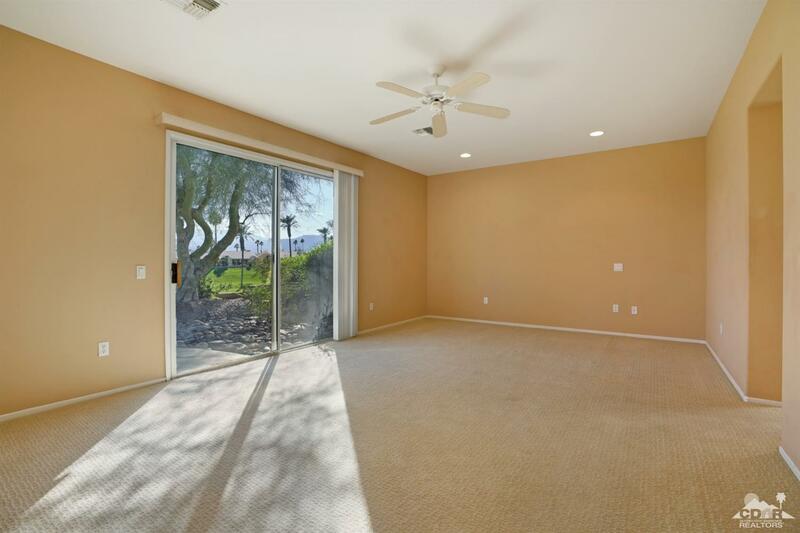 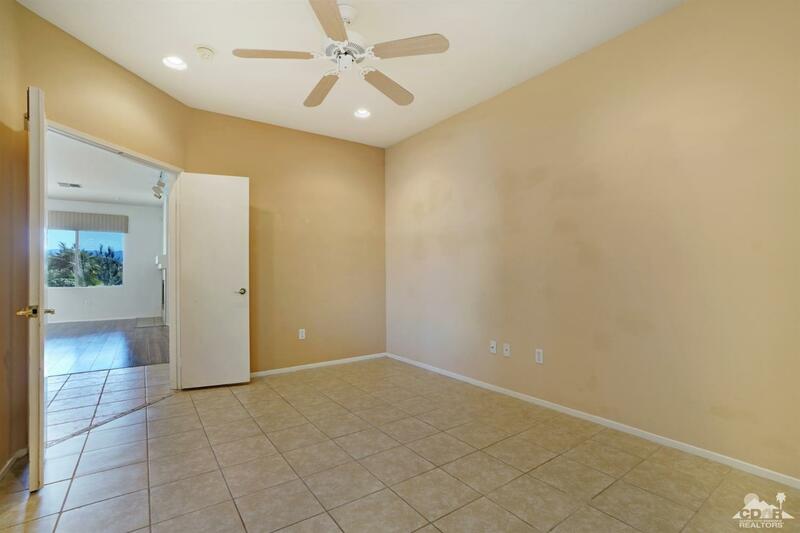 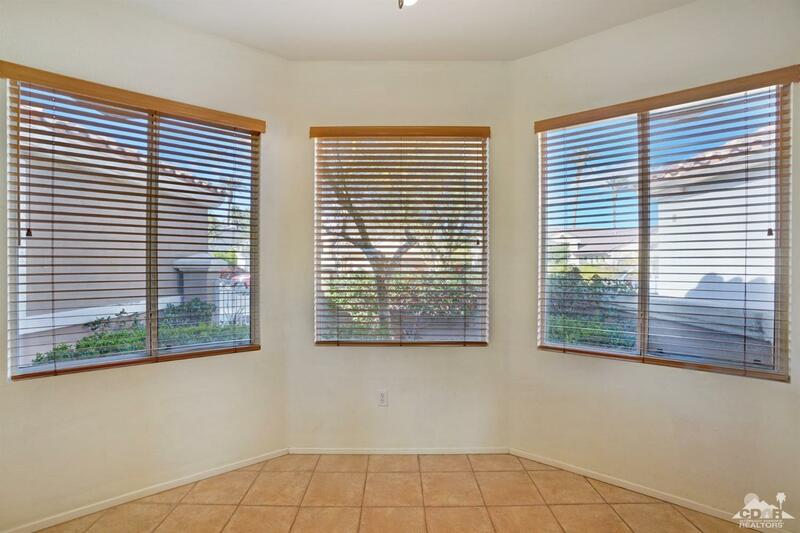 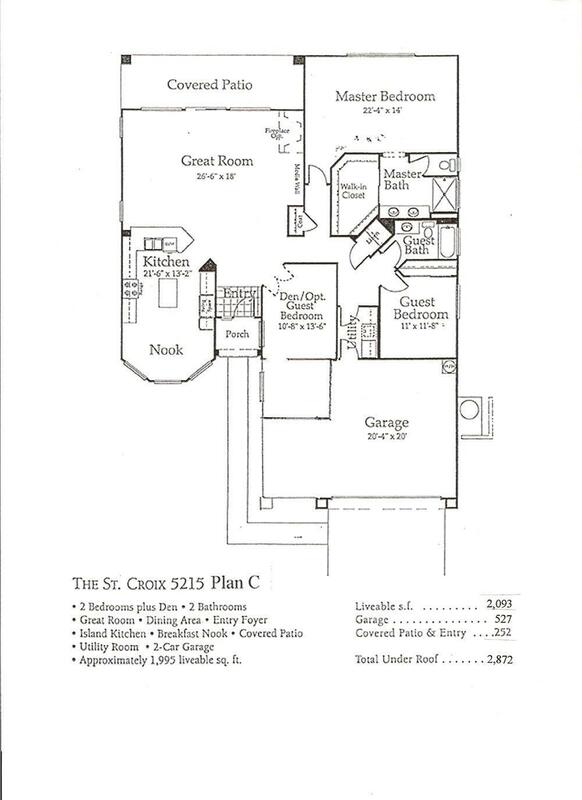 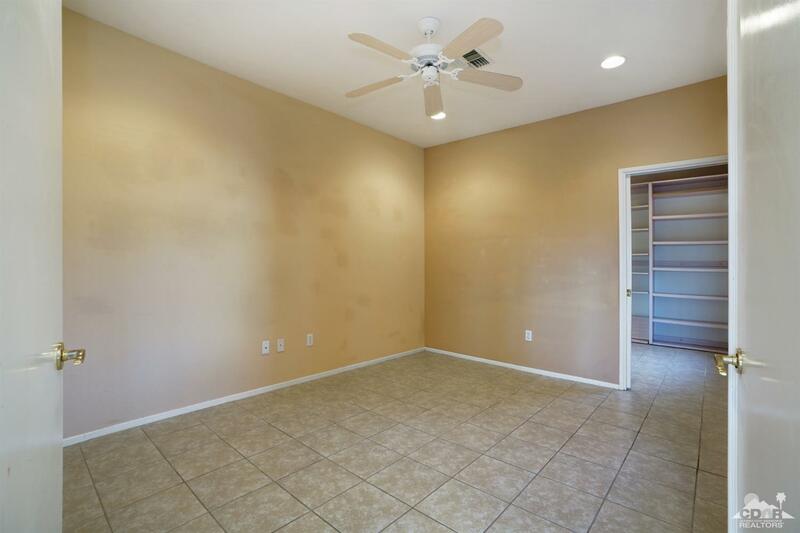 The master suite has a slider to the rear yard & a large walkin closet w/builtins. 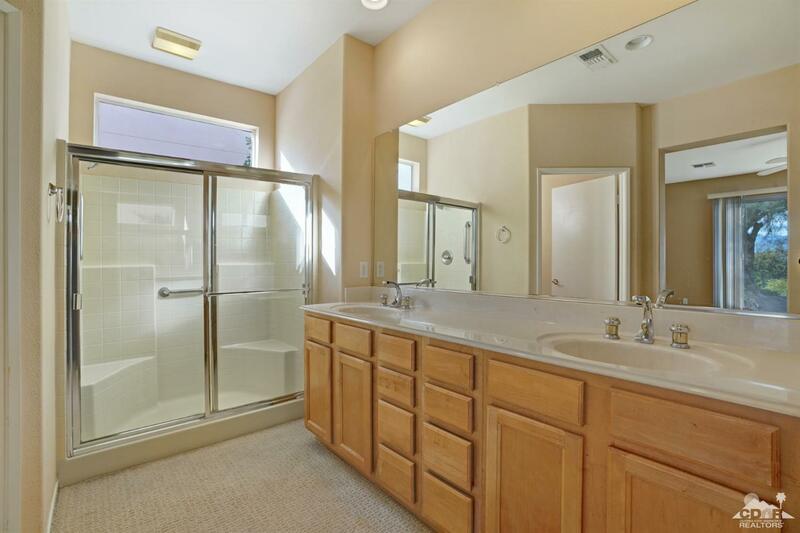 The master bath has dual sinks & a stall shower. 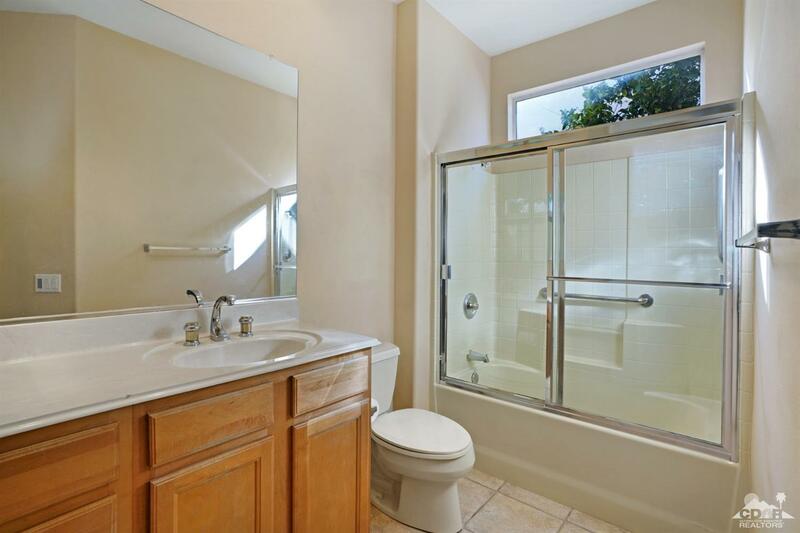 A tub/shower is in the guest bathroom. 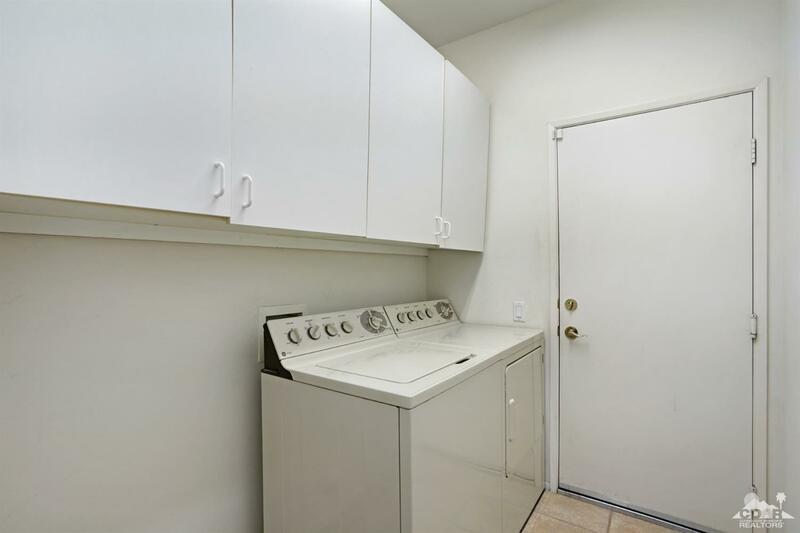 Laundry is located inside the home. 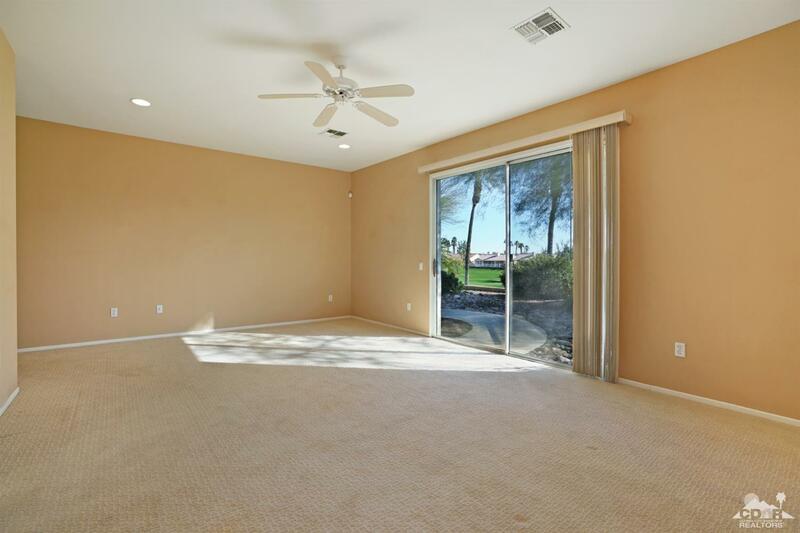 The 2+ golf cart garage has an epoxy floor and builtin storage.